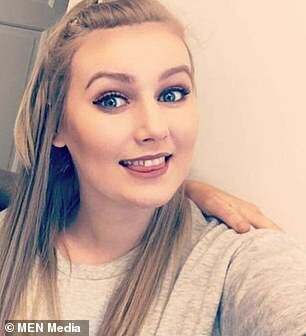 Laughing and joking in a Snapcat clip as he walks to court – this is the drink-drive killer responsible for his teenage girlfriend’s death. 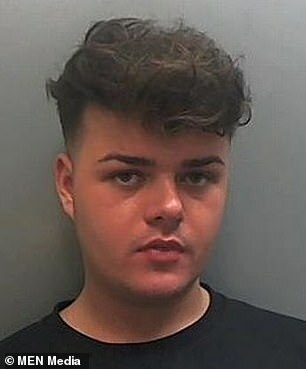 Thomas Baird has been jailed for four-and-a-half years following a horror smash in June last year, which claimed the life of his partner of seven months Demi Grewer, 18. 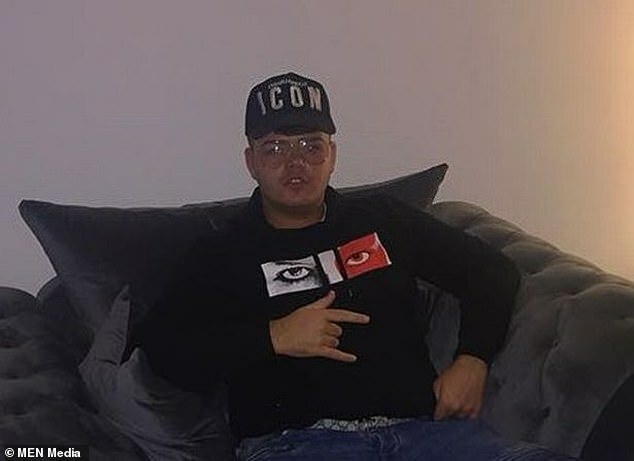 The pair had been out celebrating his 21st birthday before he drove into a roundabout and hit a fence post. He told police he tried to drive home because a taxi in the early hours – which would have cost around £25 – would be too expensive. 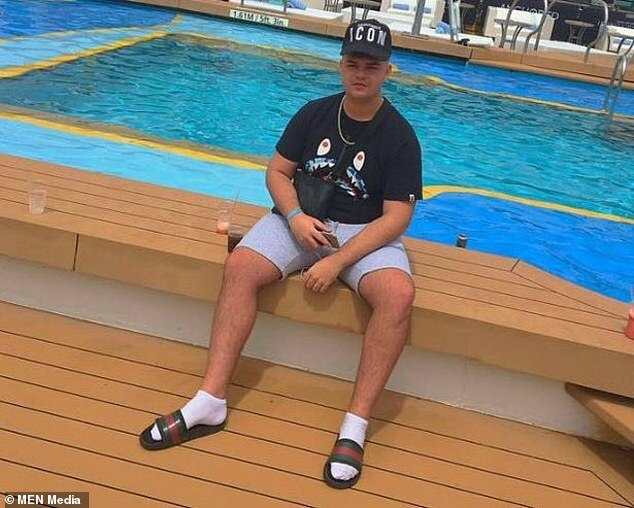 Demi’s family, from Burnage, said ‘heartless’ Baird ‘played the victim’ in the wake of the tragedy in Cheshire – and ‘tormented’ them on social media, posting selfies on various holidays. ‘His lack of remorse was devastating,’ Demi’s mother said in a statement. In October, Baird was told he faced a ‘lengthy’ custodial sentence having admitted the two counts he faced. Baird, now 22, pleaded guilty to causing death by dangerous driving and driving while under the influence of alcohol. He was banned from the road for five years. 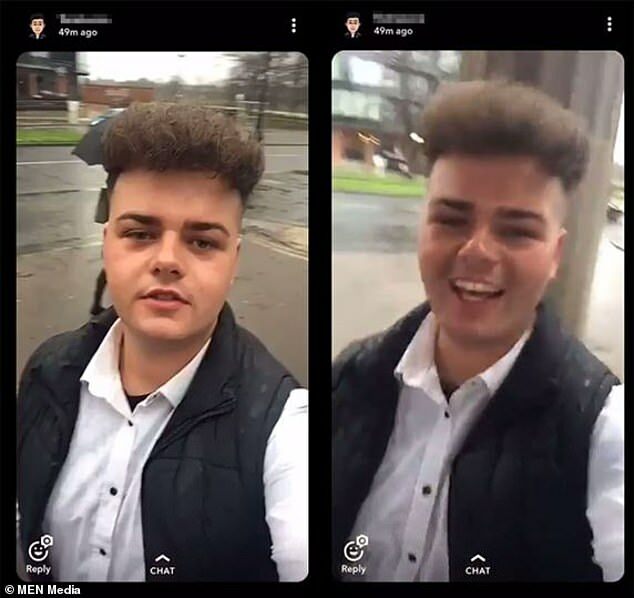 Bailed ahead of today’s sentencing hearing, Baird, from Manchester, continued to post selfies and videos on Instagram, Facebook and Snapchat. Hours before he was sent down, he filmed himself walking onto the grounds of Chester Crown Court with friends. In the Snapchat footage, he can be seen laughing and smiling. 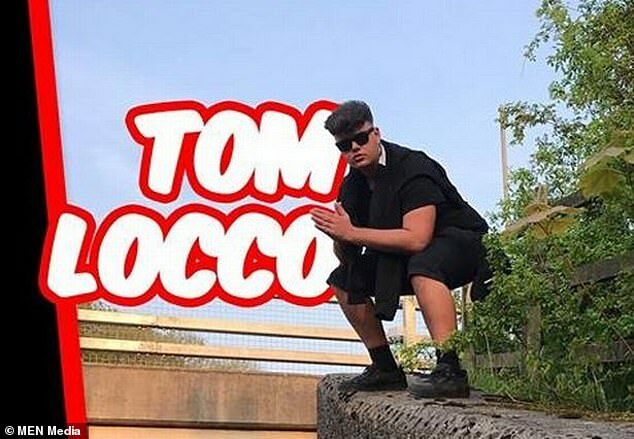 Baird, who describes himself as an ‘entertainer at YouTube’ under the moniker ‘Tom Locco’, posted pictures and videos at a TGI Fridays restaurant on Sunday evening. On Monday morning, an update read ‘I’ll be back very soon’, followed by an emoji of crossed fingers and a blue heart. Over the past few months, he has posted dozens of pictures of himself – often making a ‘devil horns’ gesture – on his social media channels. The court heard that at around 3.30am on June 23, 2017, Baird was driving his mother’s Vauxhall Mokka when it mounted a roundabout on the A34 Birrell Way in Wilsmlow. Demi was in the front passenger seat. Baird was said to have reached speeds of 70mph on 30 and 40mph roads. 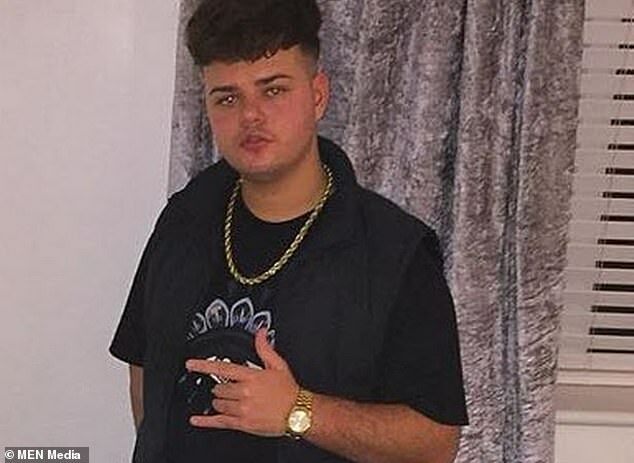 The vehicle hit a fence post and Demi, a former student at Priestnall School in Heaton Mersey, Stockport, was seriously injured. She was rushed to hospital, but later died. Another passenger was hurt. The court heard Baird and Demi had been on a night out with friends at Revolution Bar in Wilmslow. Baird was said to have had several drinks and bought a bottle of vodka to get into a VIP area. When interviewed by police, he said he tried to drive home because he thought a taxi would be too expensive. Baird had had his licence for a year. He was found to be one-and-a-half times the drink drive limit. The court heard Baird was seen ‘stumbling’ – unable to walk in a straight line – when he approached the car. Defending, Richard Simons, said tests showed his client was ‘in the extremely low range of intelligence’, adding: ‘He had an odd and vacant expression on the night, which is precisely how the defendant presents normally. Baird said he was approached by two men, before a scuffle broke out, before he got in the car. He then drove to pick Demi up. Prosecutor Nicholas Williams read a statement written by Demi’s mother Lindsay Donohue to the court. 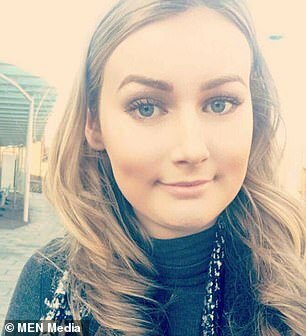 In it, she said Baird was ‘selfish’ and had ‘tormented’ her family with social media posts following the tragedy. ‘I have gone off the rails since,’ Ms Donohue said. ‘I still find it really difficult. When I go to sleep Demi the last thing I see is Demi. I still have her number on my phone – I can’t delete it. ‘Sometimes I go on Facebook just to hear her voice. If it wasn’t for my other daughters, I wouldn’t be here. ‘[Baird’s] social media is full of Demi and him all for attention. Sentencing Baird, Judge David Hale told him: ‘You were overtaking cars at 70mph, there was no need. You drove at excessive speed for a couple of miles. In a statement following the hearing, Demi’s mother Ms Donohue: ‘Our family is unable to comment on the sentence as nothing will bring our precious Demi back. ‘We can, after 17 long months find my daughter a placed to rest. ‘We need time to grieve without the anger, not only for the devastation Tom caused my family that night, for the pain and suffering he has caused since. ‘Demi was so special to me and all my family, she was so close to us all and Tom has left my family totally heartbroken. ‘My family face one of the hardest times of the year without Demi and can only hope that Tom realises the pain and torment he caused my family. ‘Playing the victim was heartless and the lack of remorse was devastating. ‘Losing Demi has left a huge void in our lives which, as a family, we have struggled to come to terms with. ‘We miss her infectious laugh, beautiful smile and the love she had for everyone. ‘The words and stories shared after the loss of Demi made me extremely proud. Demi was an amazing girl she really was. ‘Tom made several wrong decisions that night and as a result we lost Demi. ‘Life is precious, our Demi’s life was precious. Demi had so much to live for and we miss her every day. ‘We are extremely grateful to Cheshire Police and Crown Prosecution Service, who have supported our family since this happened. Thank you. ‘People need to know that Tom wasn’t the victim, my daughter was and we only hope his sentence today is evidence of this. ‘His behaviour isn’t acceptable and resulted in me losing my precious daughter.